These pewter Chelsea trophy cups are handmade exclusively for Inkerman in our pewter workshops in Sheffield, England. They are available with a variety of badges for various sporting events and come in three sizes, (14cm H, 16cm H and 18cm H) so are perfect for first, second and third prize. They look excellent engraved with competition details and/or logos. 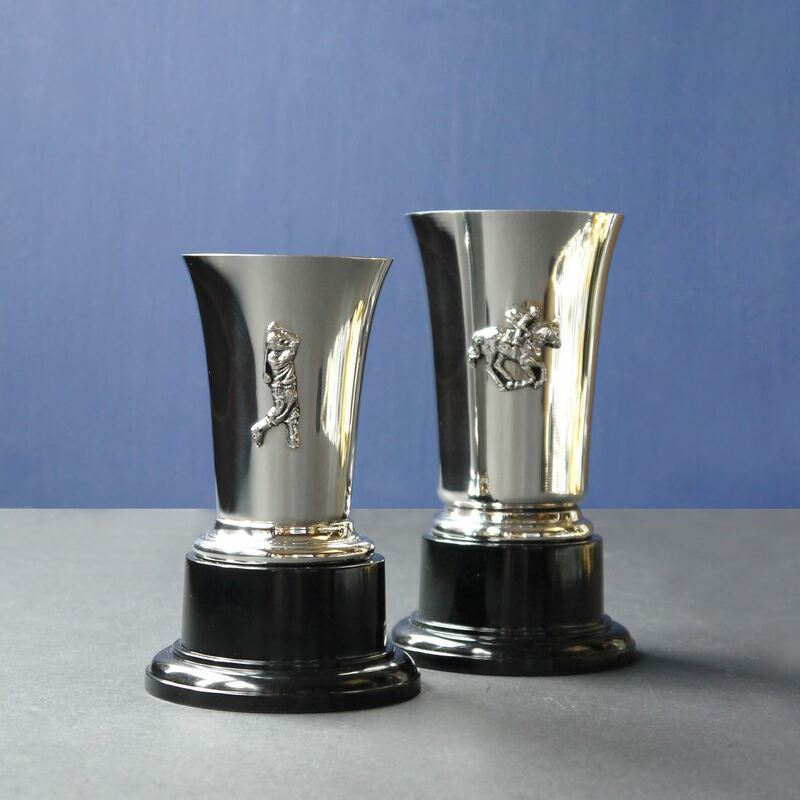 A silver band can be attached to the plinth to make it a perpetual trophy to be engraved each year at (extra cost of £30 per piece). For more details please contact sales@inkerman.co.uk or call on 01892 752211.